José Mario Sensei (Zé Mário) was born on July 27, 1968 in Porto, northern Portugal. 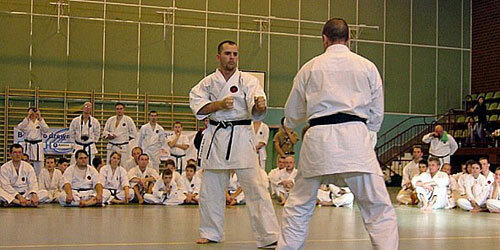 Starts practicing Goju-ryu at the beginning of year 2000 with Sensei Edmundo Silva, two years later he start to train under Sensei Mário Soares - both Portuguese instructors of IOGKF Portugal - and later, when we possessed the graduation of 3rd kyu, began practicing with his current Master Sensei Jorge Monteiro, IOGKF Portugal Chief Instructor. 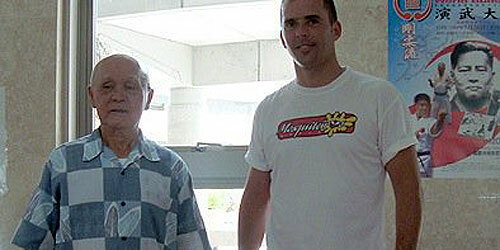 In 2006 he graduated 1st Dan by Sensei Jorge Monteiro and in 2008, the year he travels to Okinawa is graduated 2nd Dan. 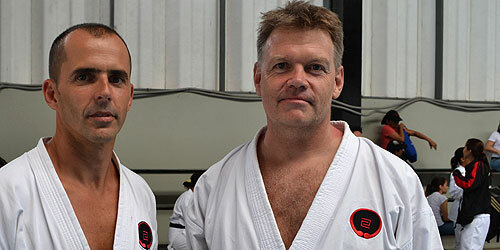 Since his graduation to 1st Dan, he accompanies numerous times his Master in traveling to teach Karate where he gives him the opportunity to help in some classes. 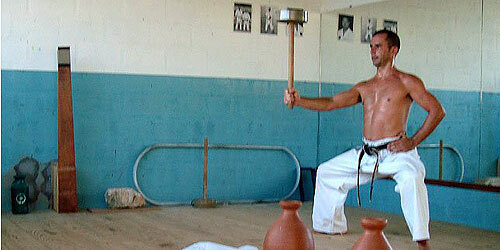 Since 2007 is teaching classes charging his own Dojo. 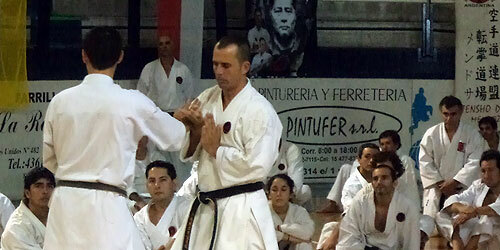 His graduation to 3rd Dan happens during a visit to Venezuela in 2011 to participate in the South American Gasshuku in Caracas. 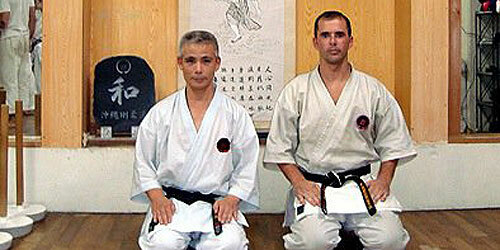 His graduation exam is personally analyzed by Morio Higaonna Sensei. 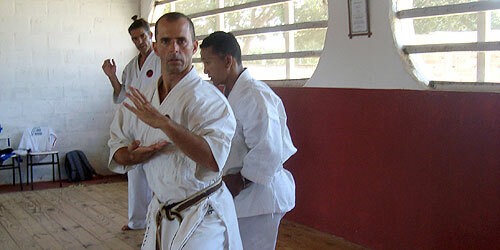 In May 2015 he travels to Portugal, where he graduates to 4° Dan by his Master Jorge Monteiro Sensei. Portugal (Porto, Maia, Lisboa, Espinho, etc. ), Spain (Murcia), France (Boulazac), England (Bournemouth), Japan (Okinawa), Poland (Bydgoszcz), Sweden (Stockholm), Venezuela (Caracas), Argentina (La Plata), Peru (Lima) and Brazil (ES, PR). During these gasshukus had the opportunity to practice with almost all Masters of IOGKF, including, Morio Higaonna Sensei (10th Dan), Kazuo Teraushi Sensei (8th Dan), Bakkies Laubsher Sensei (9th Dan), Jorge Monteiro Sensei (8th Dan), Tetsuji Nakamura Sensei (7th Dan), Ernie Molyneux Sensei (8th Dan), Henrik Larsen Sensei (8th Dan), among others. 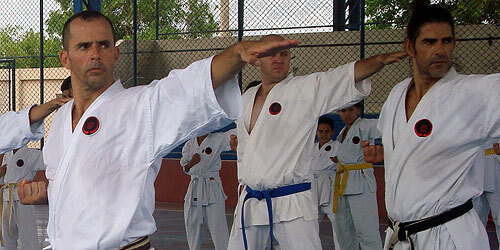 In 2010, Sensei Zé Mário move to live in Brazil where he trains alone for six months. 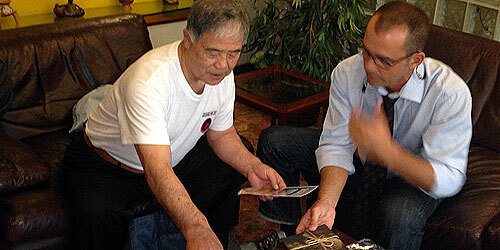 After this period opened a dojo in his residence area and get a large of practitioners. 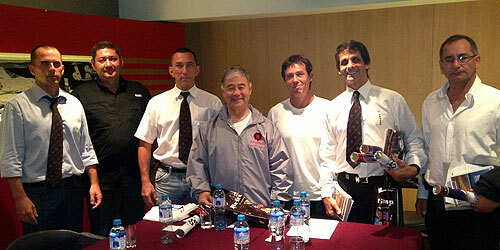 The following year travels to Venezuela where Morio Higaonna Sensei gives him the responsibility to represent and disseminate IOGKF in Brazilian territory.